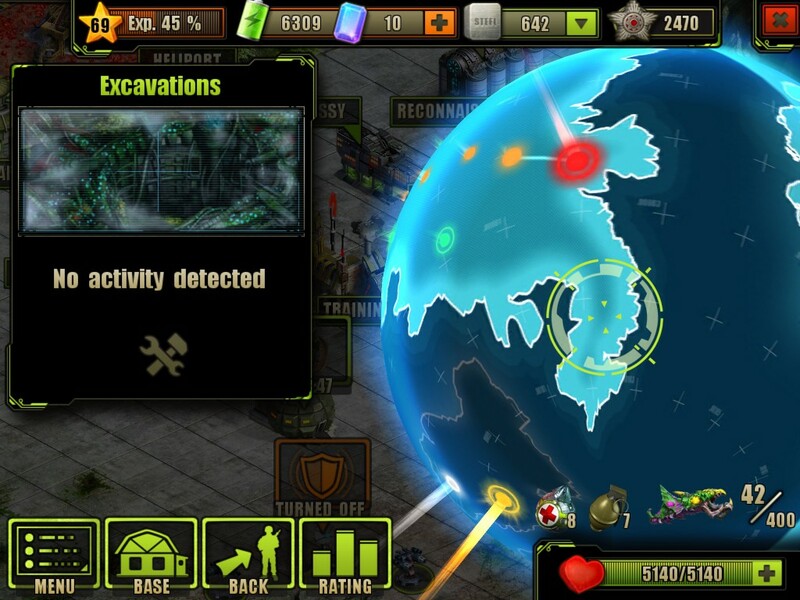 The Story-line Locations are few of the many components of the game Environment in the Evolution: Battle for Utopia. I’m not sure if this means anything, but all three of the directly affected Xi areas (Swamps,Crystallite Deposit, and Excavations) are in a straight line across the continent. If you run the line further, it either points to the large peninsula under the Annihilator or the largest island above the Home Base. Like I said, I’m not sure if this means anything but these may be future sectors directly related to Xi. does anyone finished this game to the end coz I cant finish this game coz I cant find the MEETING point?? help please ……. I can’t help here! I’ only at Incubator! But maybe you should consider to clear all enemies (if you left any behind). Maybe this is a requirement to keep going in the game! Or you can message the official Facebook page of the game. I’m pretty sure they will reply and will help you! clear all enemis means what?you mean the bosses?? without fighiting bettles will the game be allowed me to proceed to next missions?? .thanx for the quick respons people.. The Annihilator is the last game location for now. Yes, but the question is that dilshan is stating that he couldn’t find Core Location and he already finished Annihilator! So, 2 thing might have happened; or he missed the location’s name and went through Core without have noticed it, or some major bug has been revealed which I doubt! The Core location was added in the last update (3.2.x). I think he just missed update and still playing 3.1.x version. Quite weird… If a wireless connection is available, the game should update automatically. My application version, in “App info” menu says 3.2.3! But what about if the game updates now after he has finished Annihilator Location? What would/will happen? I’m playing on android. I can switch off the automatic update. As soon as I know, people that ended the game got the Core location too. Yes, I’m on Android too. But why would someone intentionally disable the automatic updates? im on android too.”people that ended the game” how did they finished the game? please tell me how did they finished this “Current objectives-[STORY] Reach the Meeting Point and meet the coming Earth expedition” ??? Didnt they comeacross this mission??? this is the exact problem that I’m facing right now “Current objectives-[STORY] Reach the Meeting Point and meet the coming Earth expedition”. Im at 72 stage. where is this meeting point???? You (and others ) have to wait till the “Exodus” game update comes out! When is the Exodus update? I can’t wait! EXODIZ upadate…… we play games hard and there are no patients…. Just wait til next year for exodus update.. The armor is very beast for offline players like myself! Any other locations would be helpful too.